Balthazar Beauregard's Round top Bonanza (or perhaps the Circus) is among RuneScape's best loved activities, now we've released a show-stopping batch of your respective most-requested improvements, so it's simpler to use, more rewarding and more fun than it's most people have struggled. Options not tried the Circus before, it is just a weekly chance to perform at Balthazar's Round top for hefty XP rewards in Magic, Agility and Ranged (plus Thieving and Firemaking in case you have completed certain quests), in addition to some cool cosmetic rewards. It's quick, fun, and everything you need's in front of them with the Circus - what's not to ever like? You don't need to grab and equip items to your performances. 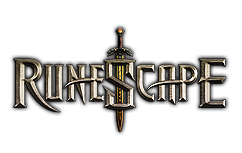 The Agility event have been improved, making it more rewarding for low-level players and bringing the XP rate for many players up slightly. All costume rewards will even unlock a cosmetic override. You should not speak to tutors to get started each performance, and a lots of non-essential dialogue has been given optional or removed entirely. The ringmaster cutscene will not play, if you've already seen it. A whole new interface is going to be shown during each performance, displaying your current score, which tricks that you've already performed plus the current audience request. Lots of other small fixes and tweaks - as requested by you.